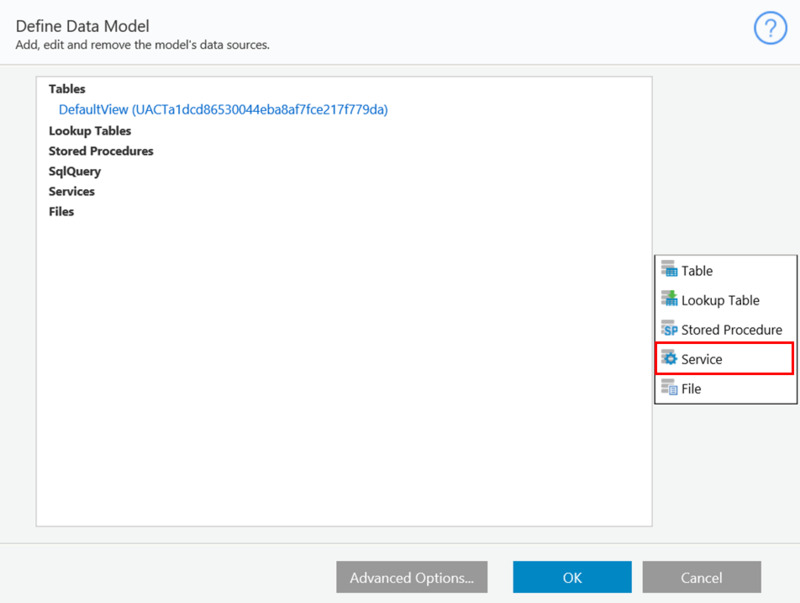 You can define the data model with a query whose data is retrieved from a service. This data can then be used to populate a combo box in a form. 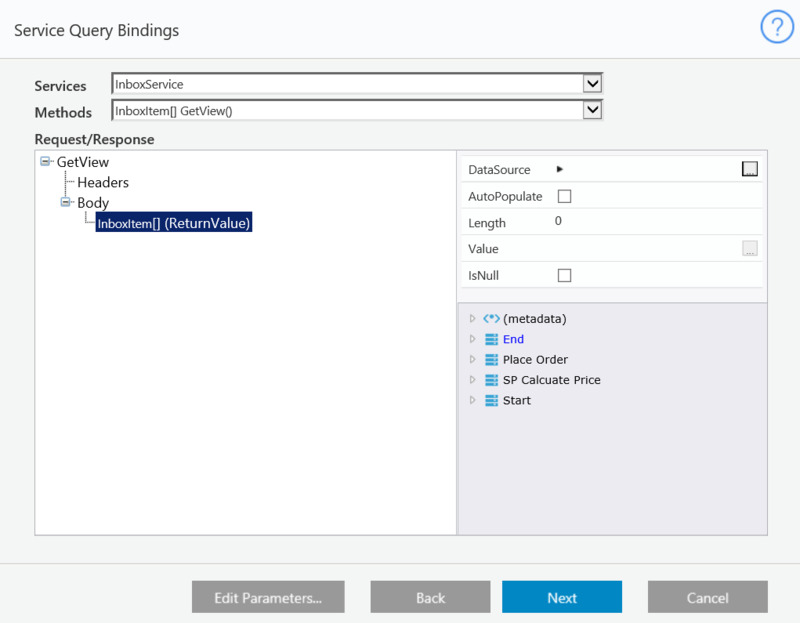 For each service type, you define a connection to the service, set values for the input parameters, and build the query structure based on return values. The service connections for all service types are similar. In this article, we use the Web Service Consumer. 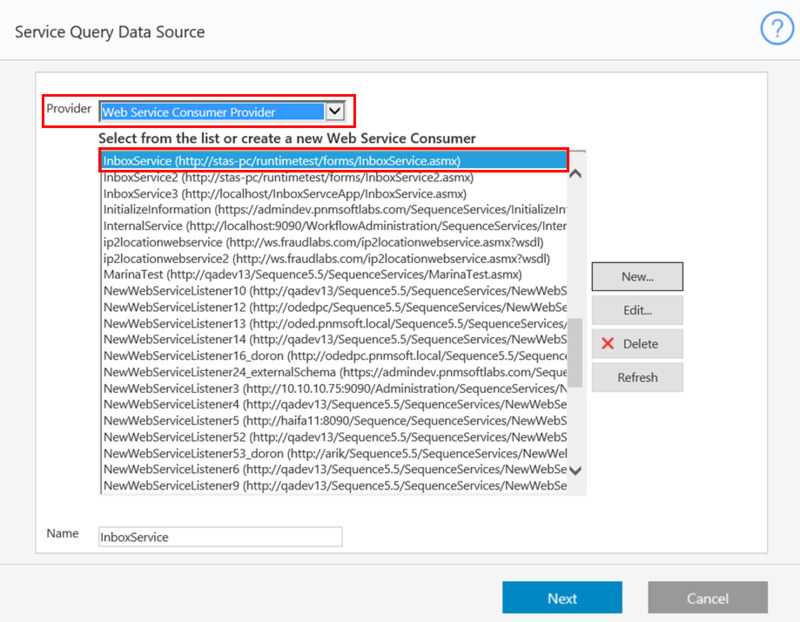 You can create a new service, select an existing service, or edit an existing service. From the Services drop-down menu, select the service you want to consume. 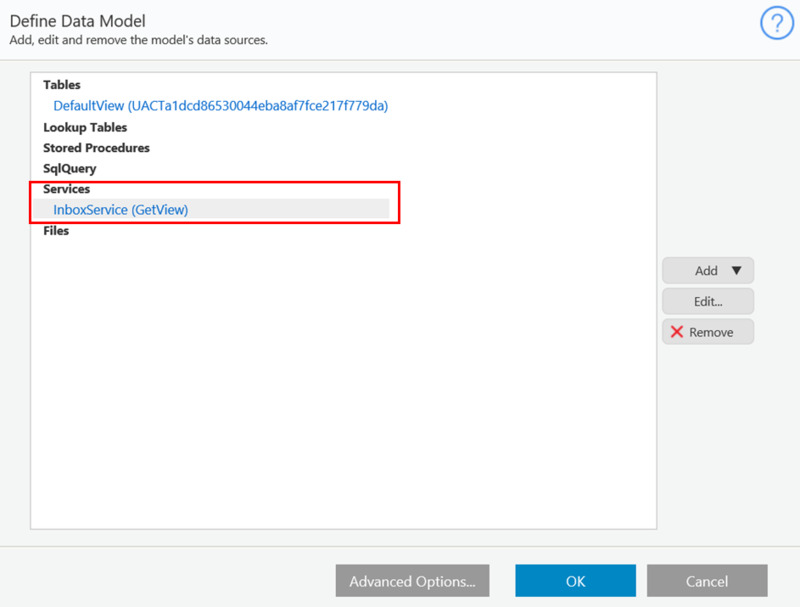 From the Methods drop-down menu, select the method you want to invoke. In the Request panel, click each method input parameter and define its value. These can be hard-coded, based on an expression, or form input parameters. If you define them as form input parameters, they must begin with the @ symbol, for example, @custname. In the right-hand panel, define the connection properties. 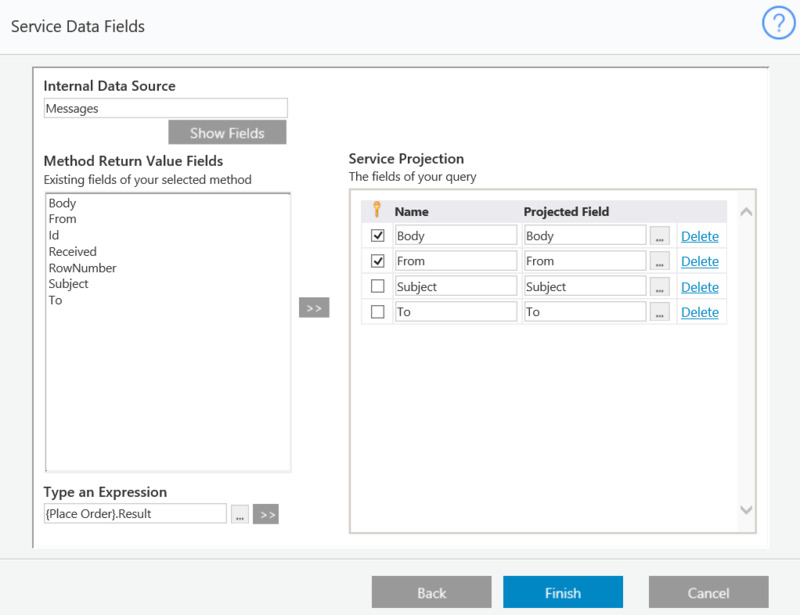 Add fields from the Method Return Value Fields panel to the Service Projection panel. 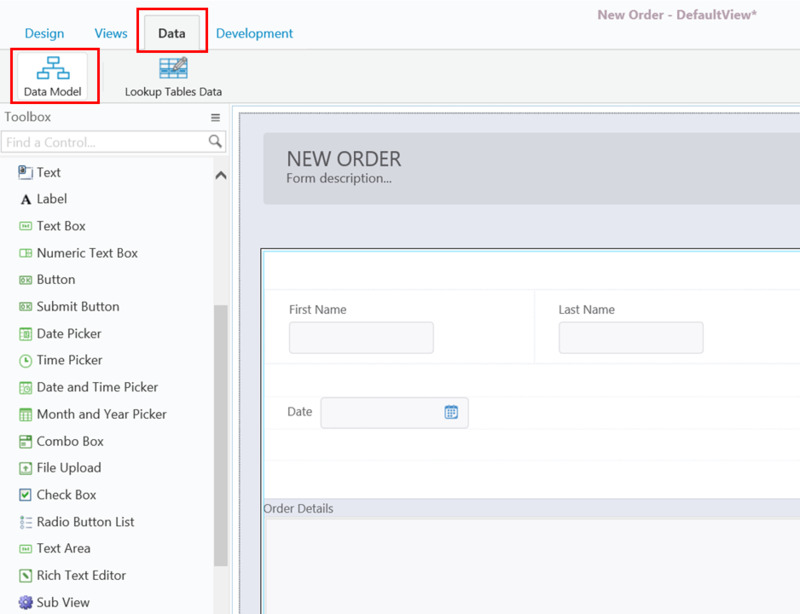 If one of the return values is an object that contains a list of fields, such as an Order, and you want to add these fields to your query, you can enter this object's name in the Internal Data Source text box. To do this, click Show Fields, and then its fields display in the Method Return Fields panel, and you can add them to the query. In the Type an Expression text box, you can create an expression and add it to the query fields. You can base the expression on the return values, for example, a concatenation of two return fields, or on other fields in the workflow.